The PVCA and its officers are governed by a constitution and a set of bylaws. The most recent amendment to the constitution occurred in 2018 with the implementation of new association boundaries. The 2018 constitution and bylaws are available here. From time to time, the PVCA commissions studies to inform its organizational priorities and assess the state of the neighborhood. In 2015, PVCA, in collaboration with Drexel University, commissioned a demographic study to examine homeownership rates in the neighborhood. This study establishes a baseline for the university’s goal of an overall homeownership rate in Powelton Village of 25% by the year 2024. Read the study here. In 2011, PVCA commissioned a five-year master plan, Directions, for neighborhood development. The master plan is available here. In 2011, PVCA commissioned a five-year organizational strategic plan and retail analysis of the neighborhood. The strategic plan is available here. Part of the PVCA’s work involves negotiating community benefits agreements (CBAs) with developers and large institutions. These agreements ensure that the benefits of new development in the neighborhood are shared by all of our residents. In 2013, PVCA negotiated a Letter of Intent (similar to a CBA) with Drexel University regarding the construction of The Summit at 3400 Lancaster Avenue. The full LOI is available here. In 2014, PVCA and other neighborhood groups negotiated a CBA with Drexel University and Wexford Science & Technology regarding the use of the former University City High School site. The full CBA is available here. 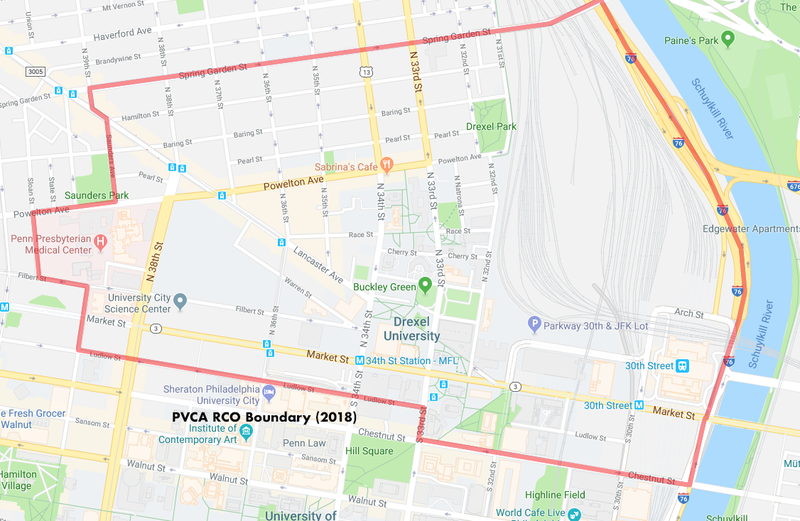 In 2016, PVCA negotiated a CBA with Lancaster Mews Partners, the owners of 3600-30 Lancaster Avenue regarding the development and future use of that site. The agreement was amended in 2018. The full CBA, with amendments, is available here. In 2017, PVCA and other neighborhood groups negotiated a CBA with Drexel University and Brandywine Realty Trust regarding Phase I of the Schuylkill Yards project at 30th and Market Streets. The full CBA is available here.